THE BAY The Series Press: ABC SOAPS IN DEPTH: Exclusive: GH's Reilly Joins The Bay! ABC SOAPS IN DEPTH: Exclusive: GH's Reilly Joins The Bay! 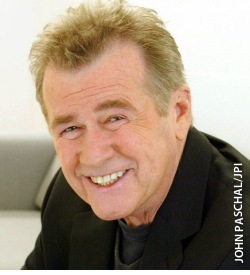 You're hearing it here first: GENERAL HOSPITAL alum John Reilly (ex-Sean) is headed to THE BAY! Tomorrow, the popular actor (who also appeared on PASSIONS and SUNSET BEACH) will report to the set to begin taping scenes in his new recurring role as the Garret's gentrified butler, Mortimer.